We invite you to join us for wine tasting at the Red Schoolhouse on Highway 12! We are open from 11:00 AM to 6:00 PM daily. Tasting Appointments are required on Tuesdays. 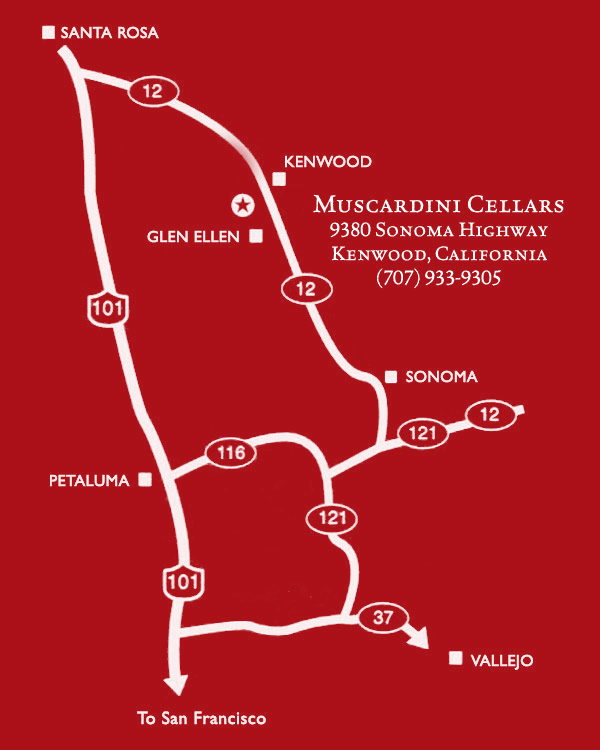 Taste Muscardini Cellars wines in our relaxing tasting room right on Sonoma Valley's stunning wine tasting trail, Sonoma Highway. Click here to view the wine tasting experiences we offer at our tasting room.